We are manufacturer of a good quality Fryums. 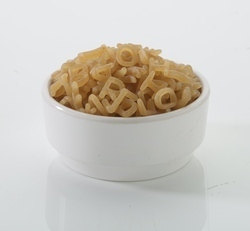 Our product range is ABCD Alphabet Fryums, Smily Face Fryums, Bowl Shape Fryums, Aeroplane Fryums, Numeric (Number) Fryums, Ball Fryums, Wheel Fryums, Net Shape Fryums, Gear Ring Shape Fryums, Animal Shape Fryums, Star Shaped Fryums, Ring Fryums, Tringular 3D Fryums, Heart Shape Fryums, Bhindi Shape Fryums, Papad Pipe Fryums, Golden Finger Fryums. 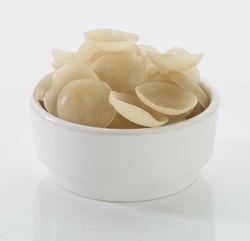 Bowl Shape or Moon Chips or Katori Shape Fryums is our very Popular product which admire by all age group. Moon Chips Fryums is tested on varied quality parameters by our quality experts. We offer all size Moon Chips Fryums. Offer valid up to 26th Feb 2017 or Stock last. 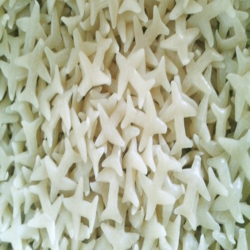 We are one of the leading Manufacturer & Exporter of Aeroplane shape Fryums. This is our Hot selling product in domestic & International market. 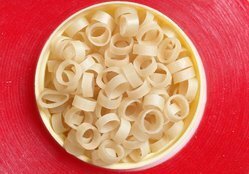 Due to our strick Quality Control & using best quality raw material Aeroplane or Plane Fryums is our very popular product. Ring Fryums is our Fast Selling products because its contain less oil after frying and more crispy in taste. We are having a Alphabet ABCD shape Fryums. This Fryums are made by using premium quality Maida. By State of the art manufacturer process, and packed in Hygein condition. This shape is very popular in Kids. Due to high demand of this shape we are having large production facility of this Fryums. 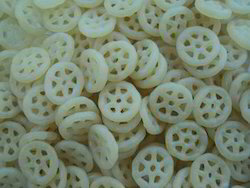 We are involved in manufacturing exclusive range of Wheel Fryums. Our product is satisfy expectations of our customers. This products has great brightness after frying, also also consume less oil. Wheel Shape fryums is our specility. This shape is very famous in all age group since many years.